In a palace from the 1500, we arranged mini characteristic apartments with wooden beams in sight, stone or wooden floors, a magnificent view over the Gulf of Cagliari. All the apartments have a living area with double bed and sofa bed, kitchen, bathroom, bed clothes, towels ,air-conditioning TV and wifi. 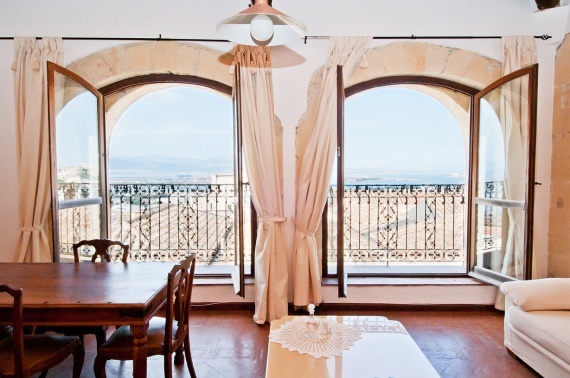 The apartments are located in the historic centre of Cagliari, “Castello” ( castle ), where you can find all major attractions, the city's entertainment, museums, nightlife and shopping streets. Public transports link you easily from the apartments to the rest of the city. Buena Vista Apartments are close to the harbor, the railway station, they’re a few kilometers away from the airport and only 4 Km from Cagliari’s famous beach: Poetto.